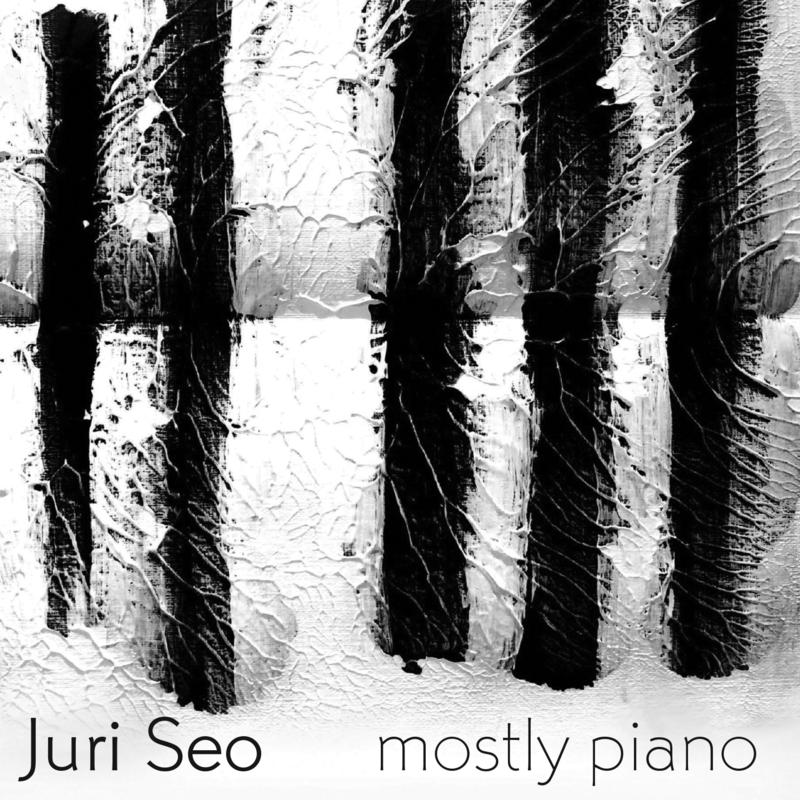 The title of composer/pianist Juri Seo’s first portrait album and debut for innova Recordings is no canard: the record is, indeed, Mostly Piano. But through that most traditional of musical filters, Seo pours her eclectic influences and the results are coherent, but refracted and many-hued: Beethoven meets 20th-century avant-garde meets modern jazz. She scales the heights and plumbs the depths of the instrument, attempting to engage with the widest scope of pianistic possibilities. Album opener “#three” is a Bad Plus-inspired piano trio that merges jazz and Late Romantic idioms, while “Three Mini Etudes in C” takes simple musical ideas in unexpected -- and often cute or violent -- directions in the hands of pianist Thomas Rosenkranz. “Piano Sonata No. 1 -- ‘La Hammerklavier’” takes its cue from Beethoven’s Op. 106 and pianist Steven Beck navigates the piece’s extreme registers of expression deftly. It’s only with “Études for cimbalom” that we find out what is not mostly piano on this release. Evocative and gesture-driven, the piece is performed by Nicholas Tolle, one of the most adventurous players of the Eastern European hammered dulcimer in contemporary music. The final track, “vi,” bring together Rosenkranz and and percussionist Mark Eichenberger to conjure strangely consonant music flecked with chromatic twists and turns. Born and raised in Korea, Seo came to the United States in 2005 for graduate studies at the University of Illinois at Urbana-Champaign. Currently, she is an Assistant Professor of Music at Princeton University.